Ken and Cindy Blumenthal understand how devastating pancreatic cancer can be. Cindy’s father died from pancreatic cancer, and she was diagnosed with the disease in July 2016. It was this combination of personalized care and a commitment to the science to help find a cure that led the Blumenthals to give to the UC Davis Comprehensive Cancer Center. 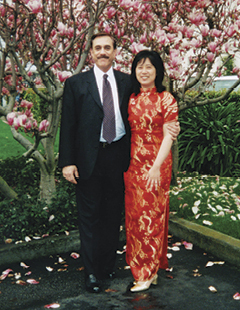 Cindy was referred to oncologist Edward Kim at the UC Davis Comprehensive Cancer Center. It was this combination of personalized care and a commitment to the science to help find a cure that led the Blumenthals to give to the UC Davis Comprehensive Cancer Center. The couple established the Ken and Cindy Blumenthal Fund for Pancreatic Cancer Research, which will provide $50,000 over five years. The Blumenthals also have planned an estate gift of $2 million that will be used to create an endowed professorship for pancreatic cancer research. The Blumenthals’ gift will be invested in a permanent fund, and annual income from the fund will support the research, teaching and service activities of the holder of the professorship. The professorship will go to a UC Davis faculty member who is a leader in pancreatic cancer research. 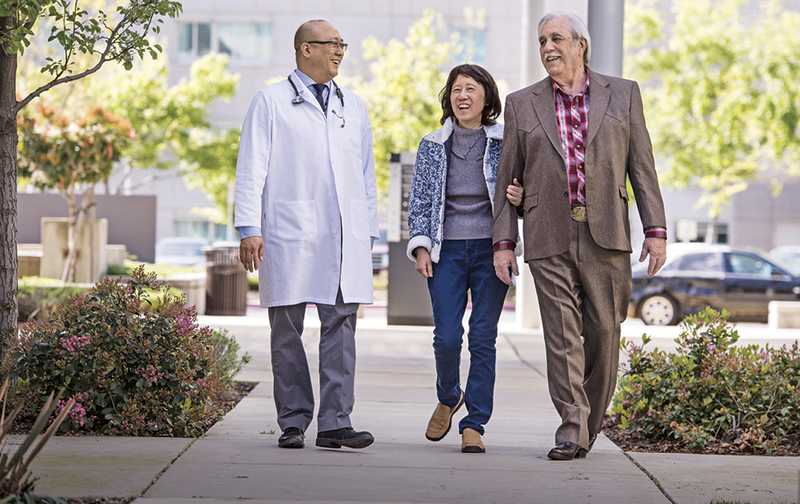 The Blumenthals, who are retired and live in Cameron Park, Calif., say that the cancer center faculty and staff have become their extended family. Ken says that although the future is uncertain, he and Cindy take comfort in being together and knowing that they’re helping others. We’re not trying to do something wonderful or generous — we’re making this donation because it’s the right thing to do. Kim says he’s overwhelmed by the magnitude of the gifts, and knows they’ll make a difference to others with pancreatic cancer.